Bardonecchia’s 140km of well-groomed pistes played host to some of the events in the 2006 Turin Winter Olympics, including the snowboarding giant slalom, held at the liked area of Campo Smith. Bardonecchia is located in the sunny valley in the Alps, right on the French border at a height of 1300m. A traditional Italian town and vibrant ski resort, Bardonecchia is home to pine woods and stunning mountain views that usually inspire gasps of awe. On a Bardonecchia skiing holiday you will find good snow conditions throughout the season. Bardonecchia itself is a market town with a mix of traditional and modern buildings. The resort has great character and a lively atmosphere. There are some good restaurants and bars and the resort can get quite busy at weekends when hoards of Italians arrive for a weekend of Bardonecchia skiing. That said, the resort is very friendly and has plenty to offer off the slopes, such as numerous shops, an indoor swimming pool, an ice rink and a cinema. Alternatively, take a day trip to Turin on the main train line. There are three main areas for skiing in Bardonecchia which are interlinked providing an enormous ski area with 140km of marked piste. 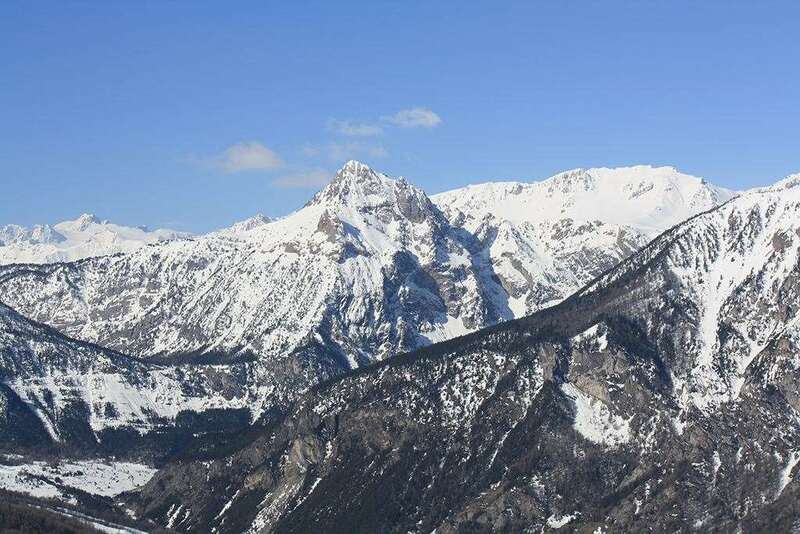 An extension to the lift pass to cover the Milky Way area is also available for the few who feel that they have run out of challenges in the Bardonecchia area. 38km of the pistes are equipped with snow making facilities for more guaranteed skiing throughout the winter season. Beginners: On their Bardonecchia skiing holiday, beginners will find convenient local nursery slopes in Melezet and Campo Smith. Once they have found their feet they can progress to the long blues runs at Colomion and Melezet. Intermediates will feel right at home when skiing in Bardonecchia and with the many red runs, will be able to cover the whole ski area with a smile. For experts on their ski holiday, Barconecchia, Italy there are 6 black slopes and plenty of off piste skiing with a guide. It is no wonder that it was decided to choose the pistes of Bardonecchia for the honour of hosting many of the snowboard events. The slopes are mostly red and blue and quite steep. That is not to say that it isn’t good for beginners. Bardonecchia is about 50 minutes away from Turin by motorway, by train it is 1 hour from Turin and 2 hours from Milan. The international airport of Turin Caselle is about 1 hour away. First time skiing in Italy and was not disappointed. The Ski area is easy to navigate and well signposted. The most confusing aspect is the bus, but once you get your head around it there is no problem. ALL buses go to Campo Smith and the Station (Railway) so no matter which one you get you can transfer easy enough. The Jafferau ski area is more open with lovely wide open runs, all of which can be completed by an intermediate skier. If you want a more complex area with lots of runs then this is not for you, we skied every run in 3 days with no issues. That said we were with a couple of skiers of a er more mature age who were quite happy completing a couple of runs before and a couple after lunch and they were more than happy as there a couple of long Blue runs from top of Campo Smith. Some of the Reds though are very difficult. Saturday and Sunday are rammed with locals, but after that in the week more often than not you have the runs to your selves. I would go back but just for quick couple of days as you can get the train from Turin to the resort for less than &#163;7. Lovely authentic Italian village frequented by the Turinians on the weekend. Great slopes although I felt the grading of slopes was different from other places I skied. The reds were demanding this time - I think I need more lessons. Lovely food on and off piste. Try Cipo's bar, although located at the base of slopes, serving authentic hearty food with a warm welcome and great music.